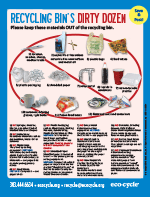 PLEASE NOTE: Zero Waste Events require planning. Therefore, we request at least 1 month advanced notice for all staffed Zero Waste Events. This excludes DIY event services. Last-minute requests will not be accepted. Thanks for understanding! Already have a tentative event date for 2019? Let us know, we will secure our services on this date and contact you three months prior to your event to start planning! 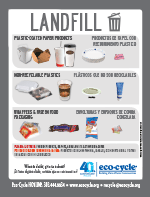 Any event, large or small, can be a Zero Waste Event. 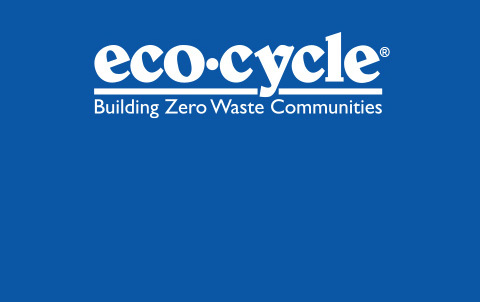 Eco-Cycle has a range of options to meet your Zero Waste Event planning needs. From renting recycling bins to consulting Eco-Cycle for planning large Zero Waste Events of over 1,000 people, we have an option that is right for you. Click here to rent one or all of the collapsible, DIY bins pictured above. 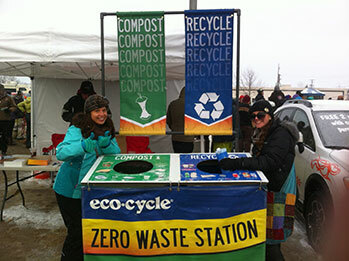 We're here to help you plan a large-scale Zero Waste Event. We are only able to serve events in Boulder and Broomfield Counties. We have provided services for premier events in Boulder County such as the Boulder Marathon and the Lafayette Peach Festival for over 20 years. 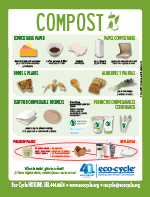 Please contact us for more information on planning your Large Zero Waste Event. (303) 444-6634. 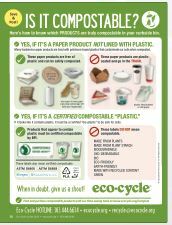 Check out our Zero Waste Event Calendar (2018) here to find out where Eco-Cycle will be next! For stylishly sustainable events including corporate events, fundraising galas, weddings and commitment ceremonies, and other social events and celebrations, choose Eco-Celebrations, a Zero Waste Event service that turns any black tie event into an elegant green tie event.